Royal Porthcawl Golf Club will host the Senior Open Championship for a second time in 2017. 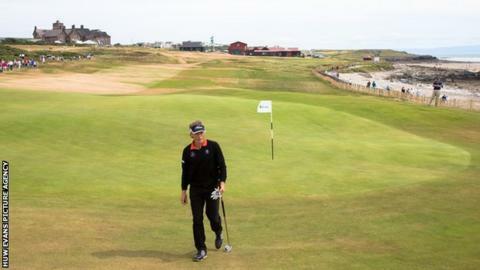 The first senior major championship to be staged in Wales was held at the Bridgend links in July. Bernhard Langer won his second title, finishing 13 shots clear of Colin Montgomerie. The Championship will return to Royal Porthcawl following next year's Championship at Sunningdale and the 2016 edition at Carnoustie. Andy Stubbs, managing director of the European Senior Tour, described the 2014 event as "one of the best Senior Opens." "Hopefully the Welsh public will embrace it just like they did this summer," Stubbs said. Royal Porthcawl captain Huw Jenkins said: "The club is delighted to be hosting the championship for the second time in 2017. "The feedback received from all those involved at this year's event has been superb."